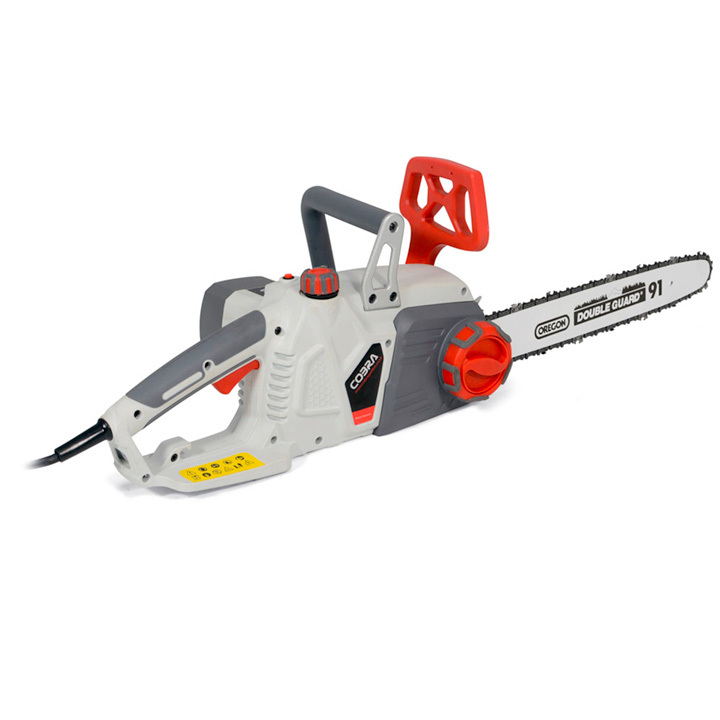 The Cobra CS35E 1800w electric chainsaw is built to tackle the most demanding jobs. 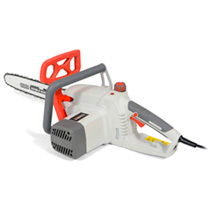 Whether you're pruning or cutting firewood, the CS35E with 14" Oregon bar and chain is up to the job. 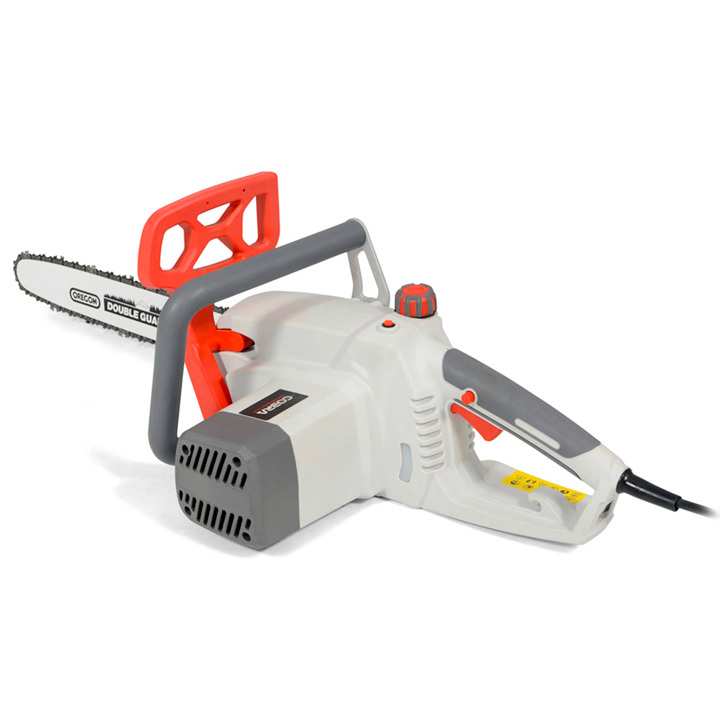 Every Cobra chainsaw has been expertly designed in the UK to cater specifically for the changing conditions of the British garden. 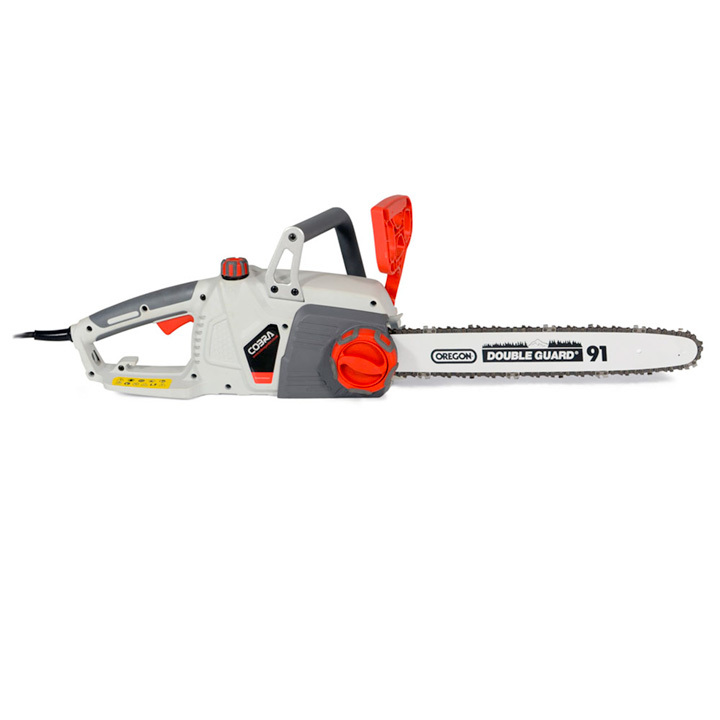 Oregon Bar & Chain as standard - The Cobra CS35E is fitted with a 35cm (14") Oregon bar and chain, the world's leading manufacturer and marketer of cutting chain and guide bars for chainsaws. 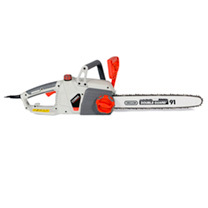 Known for its innovative spirit, the company focuses on manufacturing products that offer a superior competitive advantage and so fits perfectly with Cobra chainsaws. Quick Chain Tensioner - The Cobra CS35E comes equipped with a quick chain tensioning system which eliminates the need for any tools for tightening the chain. Just a quick rotation of the tensioning wheel and you'll be back in action without any down time. 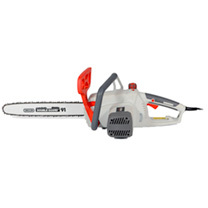 Powerful 1800w electric motor for tackling all tasks - The Cobra CS35E electric chainsaw is one of the most powerful chainsaws on the market and is extremely easy to operate. The CS35E is always ready to use, you simply plug it in and you are ready to go. With its powerful 1800w motor the CS35E will cope with all domestic tasks around your home and garden. 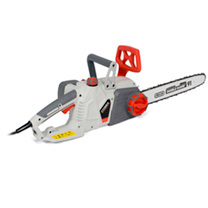 Lightweight chainsaw for operator comfort - The lightweight CS35E electric chainsaw from Cobra may only weigh 5kg but it is no lightweight in its performance. Combining its 1800w power with an oregon bar and chain means the CS35E delivers a powerful and clean cut making it the perfect saw for pruning branches, cutting firewood or tending young trees.